Air purifiers must be a massively growing part of the home tech market, judging by the quantity of them suddenly appearing in T3's inbox. On the whole, they haven't looked too appetising (okay, the Dyson ones aren't bad) but the Falmec Bellaria really raises the design bar. Falmec generally makes very stylish kitchen extractor fans, so it knows a thing or two about sucking air in and filtering the crap out of it. The Bellaria is a far more genteel, precision device however. As well as filtering, Bellaria is a 'tabletop ionisation device' using the E.Ion system employed in Falmec's kitchen extractors. Clad in luxurious Murano glass, it's a co-production with Venetian designer Marco Zito, and also offers very pleasing, soft lighting. 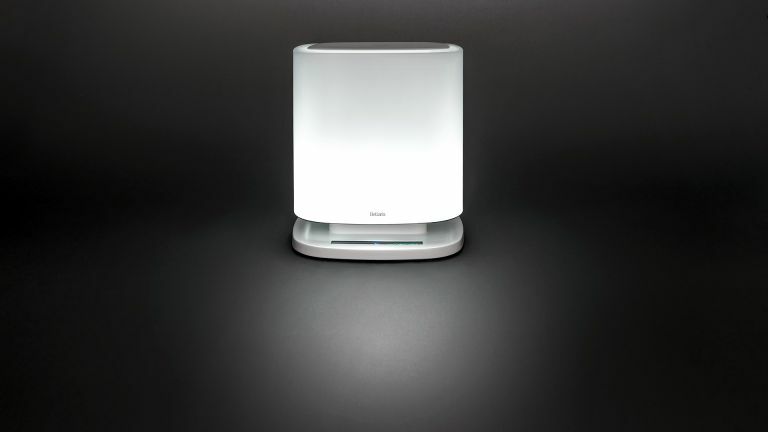 Negatively charged ions are said to remove 'bacteria, viruses, dust mites, pollen, spores, various dusts, foul odours and cigarette smoke' from the air. Science bit: "as most airborne particles have a positive charge, they are attracted to the negative ions produced by the Bellaria system. When there is a high enough concentration of negative ions in the air, they will attach to floating particles in large numbers. This causes the particle to become too heavy to remain airborne. As a result, the particle will fall out of the air, and will then be collected by normal cleaning activities, such as vacuuming or dusting." More prosaically, the Bellaria also boasts a dust filter, and an activated carbon filter to deal with smells. A neat little light in the shape of a leaf tells you how polluted your air is – if the leaf is green, all is well – and the light can be faded up or down, or turned off entirely. Mainly, it's a very attractive thing. "We are proud to say that Bellaria has won a silver prize in the Wellness and Relaxation Products category of the European Design Awards,” comments Falmec's Head of Sales and Marketing, the really quite excellently named Lorenzo Poser. Bellaria by Falmec is available now in a choice of red, yellow, white and grey, for £849. (Their website is in Italian so you may need to employ Chrome's translation abilities).